“The programme for this event at the lovely canal-side church of St Cyr will have a watery theme. Fred Metcalfe, Sales & Events Manager at the Stonehouse Court Hotel recently contacted the Capella Singers organisers with some brilliant news. 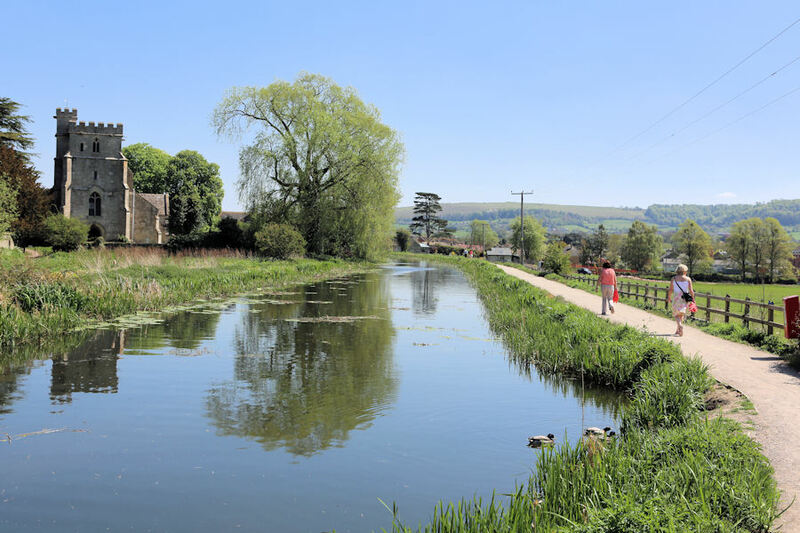 In cooperation with Cotswold Canals Trust and The Capella Singers Stonehouse Court hotel is putting on a barbecue at the Midsummers Eve Concert at St Cyrs Church on Saturday 21st of June. Chargrilled hamburgers and sausages with vegetarian options will be available on the canal side green at the rear of the hotel from 5:00pm – 10:00pm. 10% of all takings from the BBQ will be going directly to the Cotswold Canals Trust Restoration Fund. Your support would be greatly appreciated. Click here to view the earlier report on the concert and to download your own poster. Click on Mike Gallagher's summertime at St Cyrs photo to view a larger version. Click here to learn more about the Stonehouse Court Hotel.